If you’ve consulted a probate attorney in The Woodlands, you’re probably already familiar with the concept of using a last will and testament to designate beneficiaries for assets and guardians for minor children. “Living wills” are completely different. 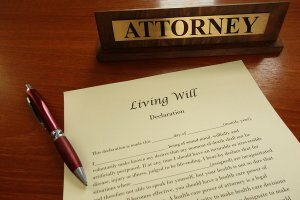 A living will, also known as an advance directive, is a document that your probate lawyer can draft on your behalf. A living will goes into effect during your lifetime, rather than after your passing. 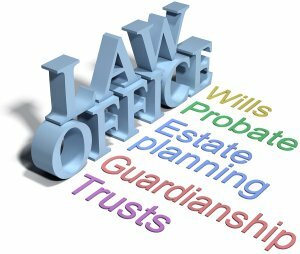 When your probate lawyer creates a living will, he or she will convey to medical or healthcare providers your healthcare preferences. This allows your healthcare providers and family members to identify the care you want to receive in the event that you become incapacitated and cannot communicate these wishes. For instance, you might decide to express a desire for palliative care, but that you wish to avoid extraordinary measures such as cardiopulmonary resuscitation (CPR). Should your preferences change, you can revoke the living will at any time and create a new one if desired. Finally, never forget, an advanced directive does not override your stated wishes if you are awake and competent–it only affects decisionmaking when you are unable to make your own decision following a medical emergency. Divorce affects your finances in a number of different ways, including the way you pay your taxes. Before you decide how to file your taxes, talk to your divorce lawyer in The Woodlands to ensure you’re making the right financial decision and to avoid any complications. Oftentimes, I divorce lawyer will refer you to a certified public account for specific direction. This video explains your options for filing taxes after you file divorce papers. If your divorce is finalized by the last day of the year, you can file as a single person. Your divorce lawyers should work out which spouse gets to claim head of household status, based on each party’s financial contribution. Child support and other post-divorce payments can figure into your tax filings as well. Your divorce lawyer can give you advice on tax filings to shield you from responsibility for your ex’s tax debts and complications caused by incorrect deduction claims.